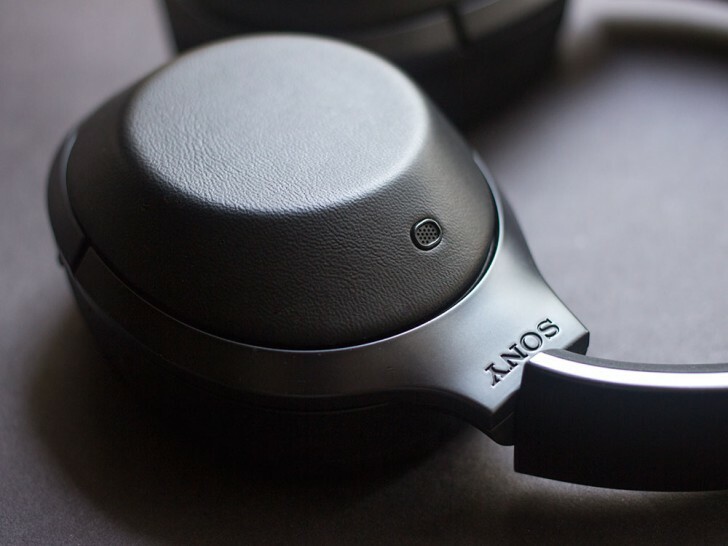 The Sony MDR-1000X are the company's flagship Bluetooth headphones. They come with advanced noise cancelling feature, which Sony claims is the best in the business. But is that really the case? And more importantly, how do they sound? Let's find out. The 1000X have the traditional Sony laidback design. 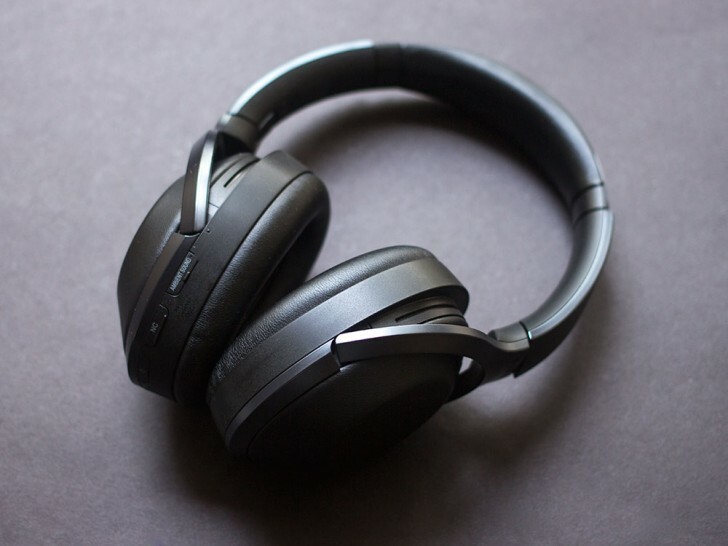 The headphones are entirely painted in black, giving them a very stealthy look, which is great if you don't want them to attract a lot of attention when you are wearing them outdoors. The earcups and headband are covered in soft synthetic leather that gives them a premium feel. The earcups also swivel and fold, making them easy to carry. Everything feels premium and built to last. The 1000X are also a comfortable pair of headphones. They are light, which is very important, and after a while you even forget you are wearing them. The plus earpads are easy on your skin and the earcups cover your ears completely. Wearing these for long hours was no problem at all. It must be said that the earcups don't breathe at all since they are designed to keep noise outside, so if you use them in hot and humid weather be prepared to get your ears cooked. 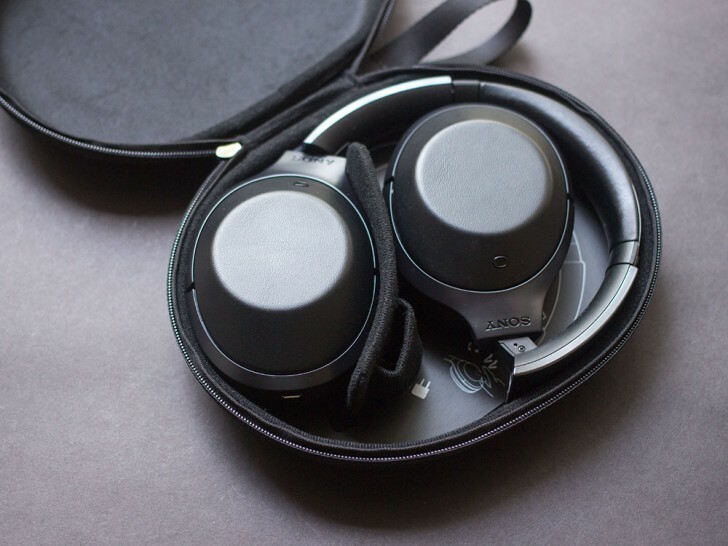 The 1000X comes with a carry case included, along with audio cable for use when you run out of power on the headphones or sources that don't have Bluetooth, such as airplane seats. For that, there is also a two pin airplane adapter included. A microUSB charging cable is also included, although you will have to provide your own charger. The 1000X has three physical controls on the bottom of the left earcup. First is the power button, which has to be pressed briefly to turn the headphones on or off. When off, you can press and hold to turn them on and enter pairing mode. There is an LED built-into the button to display power, battery, and pairing status. The second button turns the noise cancelling on or off. When on, you can press and hold it to calibrate the noise cancelling to your surroundings, if you think it's not working as well as it should. The third button turns on the Ambient sound mode, which disables the noise cancelling and pipes in the outside audio using the external microphones so you can be aware of your surroundings. 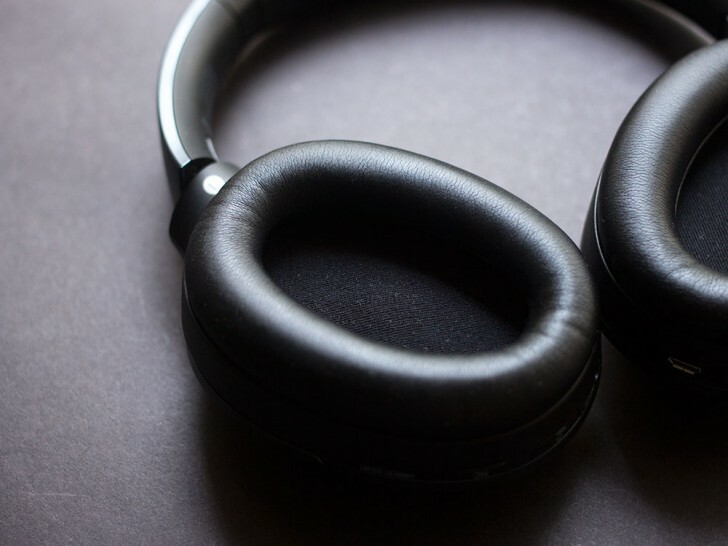 It is more effective than simply disabling noise cancelling because even with it disabled the earcups block a lot of the sound. The button has another mode, where it prioritizes voice, so you can enable it when someone is talking to you to hear them clearly. The problem with these modes is that enabling them is followed by lengthy voice feedback from the headphones informing you the mode is activated. These can last a few seconds so if you want to listen to something quickly, say, an announcement at the airport then I found it better to just remove the headphones than wait for headphone to finish telling me it has enabled or disabled something. It's a bit annoying and I wish the features would just kick in instantly instead of telling you about it every time. The right earcup has a touch sensitive surface on the outside. You can double tap to play/pause or pickup calls. You can swipe forward and backward to skip tracks. You can swipe and hold to skip within the track. Similarly you can swipe up and down to adjust volume by one notch or swipe and hold to continuously increase or decrease it. Lastly, you can also cover the entire touch surface with your palm or four fingers to immediately mute the audio and temporarily enable ambient mode to listen to something around you. I still found it was more polite to just remove the headphones while talking to someone, though. Along with manual pairing, the 1000X also have NFC built-in for devices with NFC support. The 1000X are closed back circumaural headphones with 40mm drivers with neodymium magnets and a rather wide 4Hz - 40,000Hz frequency response. The headphones pair over Bluetooth and support standard AAC as well as aptX and LDAC. LDAC is Sony's proprietary codec that has low compression rates and can transmit much more data while preserving more of the original signal. 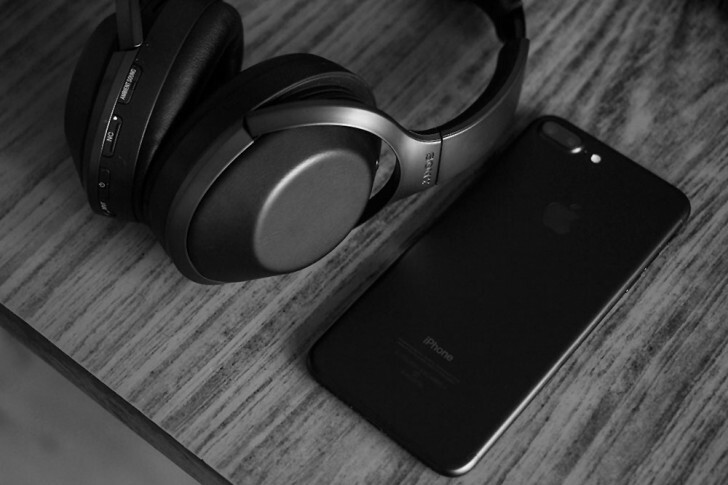 Noise cancelling is taken care of by having microphones on the outside as well inside the earcups to constantly monitor the noise levels. Starting off with the noise cancellation, it was exceptional on the 1000X. Just putting on the headphones cuts off a lot of the noise around you thanks to the earcup design. Once the active noise cancellation kicks in, things get even quieter to an eerie degree if you're not in a particularly noisy environment. If you're on a flight or a train, you can all but forget about whatever is happening around you because even without the music playing things get turned down almost all the way and once the music plays you are completely transported away from wherever you are. It's hard to say if this is the best in the business as I did not have a pair of Bose QC35 to compare side by side, but it is terrific nonetheless. As for the sound quality, Sony is using some really good drivers with good tuning on the 1000X. The built-in equalization is also tastefully set, which means you get a well balanced sound with only a slight emphasis on bass. The sound signature works well across genre and the headphones are comfortable with jazz as they are with hip-hop. They even work well with movies and games. I tried the headphones with AAC and aptX devices but did not have a Sony phone with LDAC at hand but despite that the sound quality was mostly excellent. The headphones charge over microUSB and take about three hours to charge. Sony claims a battery life of 20 hours, which I couldn't quite test but they did seem to last quite a long time I could use them for a week with a few hours of every day. The Sony MDR-1000X are priced at $400 in the US. The price is on the steep side, but when you consider what you are getting, it's well worth it. 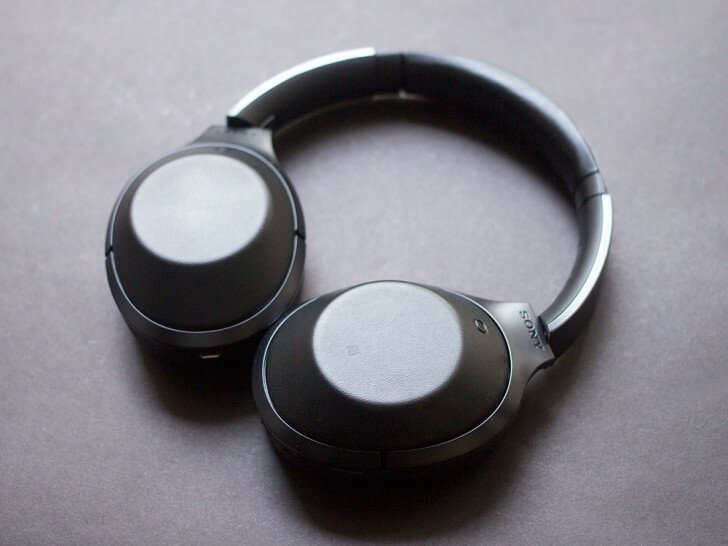 The audio performance alone is commendable and when you add the fantastic noise cancellation and comfort, not to mention the battery life and the 1000X comes across as a really good deal overall if you have the cash. With phones starting to ditch the headphone jack, this could be a worthwhile purchase. And I can say from experience, the design goes great with the new all black iPhone 7.